In 1969, a 21-year old art teacher in a small town in upstate New York refused to lead her homeroom in the Pledge of Allegiance. The school district fired her, and she brought a lawsuit under the First Amendment. 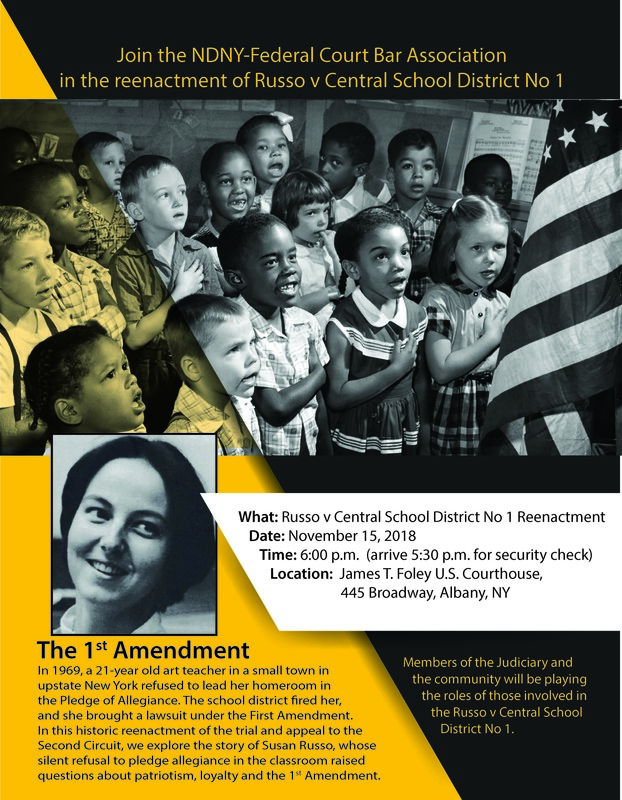 In this historic reenactment of the trial and appeal to the Second Circuit, we explore the story of Susan Russo, whose silent refusal to pledge allegiance in the classroom raised questions about patriotism, loyalty and the 1st Amendment. 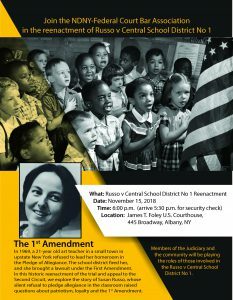 Members of the Judiciary and the community will be playing the roles of those involved in the Russo v Central School District No 1.